I heard some kakigori shop have very long long line in front of those shops. In such a muggy air under the blazing sun ! I dropped in at Japanese-style cafe the other day. Somehow there were much vacant seats. 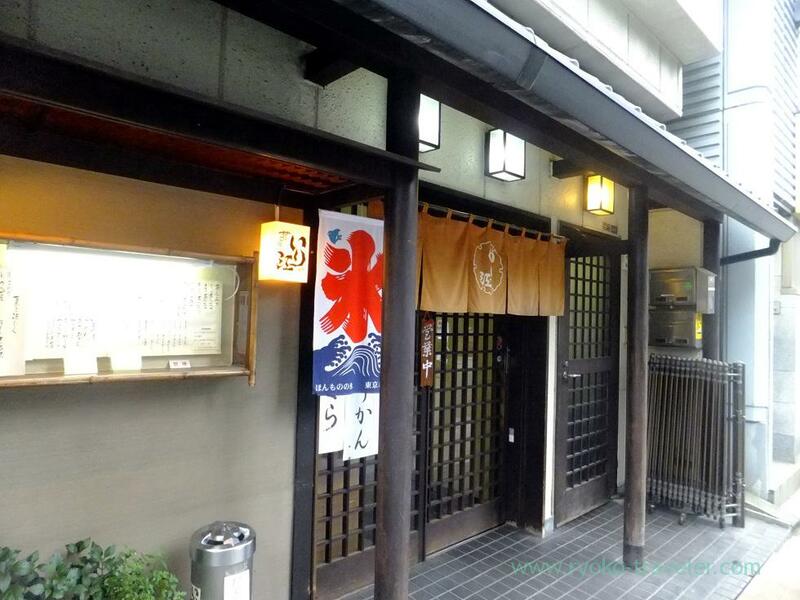 Irie is ordinary traditional Japanese-style sweets cafe. At first, I didn’t intend to eat kakigori because I felt chill and I wanted to eat anmitsu. But when I got into the shop, the shop was so warm. 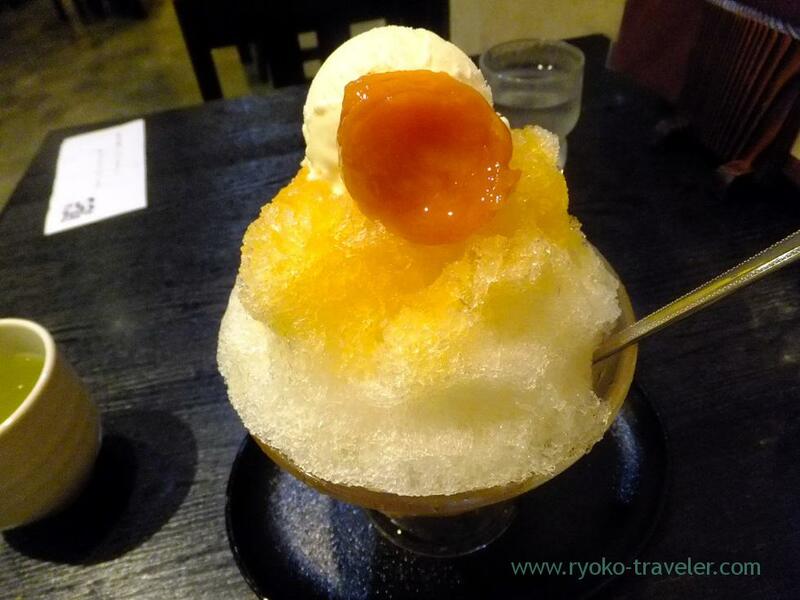 Maybe, there are many people ordering kakigori, so they controlled the temperature higher in the shop on purpose. It was very hard for me to take the spoon in safe. I managed to take the spoon. But I was very nervous that the ice and ice cream would fall down. The kakigori was tasty, but I should have ordered shiratama by additions.